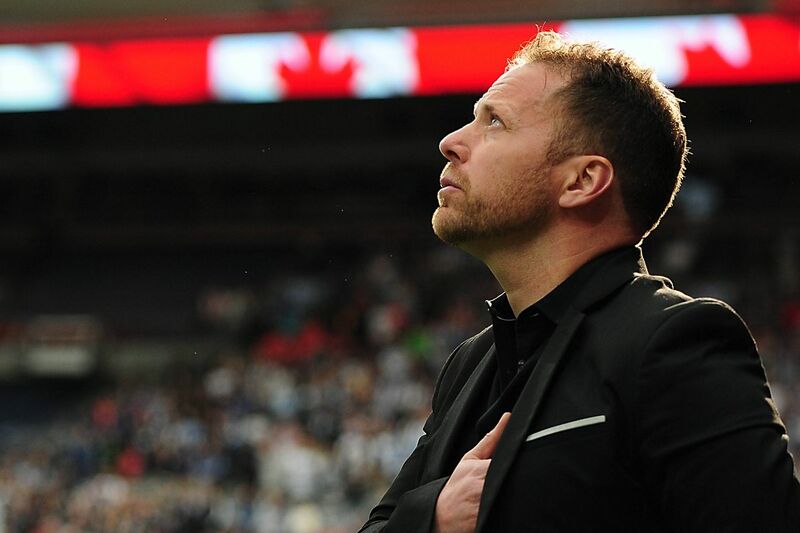 It’s very difficult to know what to what to make of the Vancouver Whitecaps season opening loss to Minnesota United. Every player showed some signs of being really good and also had some really terrible moments. Every performance defies being assigned a number. Anyway let’s get into it. Well on the one hand Crepeau, I thought, looked pretty confident on crosses. He couldn’t really be faulted on either of the first two goals. The third was kind of weird in that he was cheating a bit but also there was a nasty deflection off of Godoy. He had a bad giveaway but also some really well played long balls. It was weird. He was doing really well but then he gave away an utterly stupid penalty. 3 interceptions, 3 clearances, a blocked shot and a tackle is a pretty good outing for a defender, but he did kind of kill the momentum of the team with a silly moment. Boy what a whirlwind. There were last ditch clearances, reckless tackles and a goal. It was wild and hard to quantify. From an analytics perspective it was pretty great with 4 interceptions and 7 clearances but it sure looked a bit shaky. Boy what a whirlwind. There were last ditch clearances, reckless tackles, an own goal and a goal. It was wild and hard to quantify. He had 2 interceptions, 2 clearances and impressively only committed one foul. Cornelius struggled at left back. This was to be expected though because, as far as I can tell, he’s never played a professional game at left back before. But injuries to Brett Levis and PC meant he had to be forced into service. He did do some good stuff, winning the ball in the air well, passing the ball well for the most part (80% accuracy) and making some tackles. He really struggled with positioning though. Jon Erice: *gif of that scene from ‘the dictator’ where they tell the guy he’s “HIV Aladeen” because the dictator has changed both the words positive and negative to his own name and the guy kind of switches between relief and a look of complete horror. man that movie kind of sucked but that moment was pretty funny. I hope you’ve seen it so this really long grade makes sense. Erice had some fantastic moments distributing the ball from the midfield pivot role. He also had some really bad giveaways, one of which lead to a goal against (though I felt it was pretty clearly a foul). I think once he’s given time to get some chemistry with the other midfielders he’ll be a good fit. Hwang’s game was a microcosm of the Whitecaps as a whole. He showed some promise but also didn’t quite have the little bit extra to do something really special. His technical qualities were obvious. He had some good dribbles and was pretty tidy in possession. I was impressed with how he handled the physicality and he tested Mannone with a good shot from distance. But a lot of his attempts to play a killer ball came up short. There were a lot of balls aimlessly lofted into the box and through balls that were mistimed. Again I think this is something that will improve as the team builds chemistry. Felipe was the member of the midfield 3 I was least impressed with. He is the closest of the 3 to a #10 and he seemed the least creative of the 3 (though statistically they all created one chance respectively). He had a lot of touches, had a shot and 86.7% passing accuracy but it was a performance that makes me wonder what Simon Colyn could offer. He got an assist and had two key passes which lead all starters so that was good. Overall I think he played well but he looked a little out of sync with everyone else (but so did the whole team). Tentatively man of the match. Bangoura looked dynamic and had some good runs but wasn’t able to translate that into production. He also gave the ball away which lead to Minnesota’s second goal. I am intrigued to see how he progresses. Montero just didn’t get the ball enough to make a difference. His movement was pretty decent, he didn’t give the ball away when he did get it. looked very fast and brought a bit of spark to the team late in the game. Had two dribbles and didn’t miss any passes. A pretty positive first cameo. He came on late but got an assist, made two key passes, and had a 90% passing accuracy. Hard to ask for more. Look, it wasn’t great. But there were good signs. I have seen a couple people say that this was just more of the same from last year. But this, to me, could not be more wrong. They conceded two goals as a result of giveaways. But the reason there were giveaways is that they were trying to play out of the back. Last year they wouldn’t have even attempted that. The press did not result in the Whitecaps triumphantly stripping players of the ball and rushing in on goal. But it did prevent any member of Minnesota’s backline from having a passing percentage over 80%. Things didn’t work out today but I have much more patience for a team and manager that try and fail a few times than I do for a team and manager that refuse to try at all. Post Match: A Win! Do you believe in miracles? The Whitecaps secure their first win of the season at home against the top team in MLS. Former Vancouver Whitecaps Recent Form Abroad MLSSoccer.com reported on the recent results of former Major League Soccer products. In that report were several former Whitecaps players. We summarize their recent results. Know the Enemy - Los Angeles FC LAFC come to BC Place for a Wednesday night tilt. We scout the undefeated LAFC and get some inside information on how the club is doing so far this season.